IGNOU M.COM 2019: The School of Management Studies of IGNOU offers 2 years Master of Commerce programme through distance education mode. As of now The School of Management Studies offers 11 programmes in Management and 14 programmes in Commerce. Now a days the demand of commerce education is high & to meet this demand IGNOU offers these professional courses. The programme is focus on operational areas of Business Activities. To be eligible for IGNOU's MCOM distance education programme, a student must have a Bachelor’s Degree or a higher degree from a recognized University. The medium of instruction is Hindi & English. Prospectus can be obtained from Regional Centres in person for Rs.200/-, or by post by sending a DD of Rs.250/- in favour of IGNOU, New Delhi, to Registrar (Student Registration Division), Indira Gandhi National Open University, Maidan Garhi, New Delhi-68. 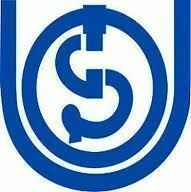 Further student may IGNOU official website www.ignou.ac.in or can visit nearest regional center for more details. students may also download the prospectus from IGNOU official website. Last Date for receipt of Applications for IGNOU MCOM programme is 15th June 2017.